Dell XPS 15 touch 2-in-1 notebook. Dell hit the refresh button on its Inspiron All-In-One and XPS laptop lineups earlier today. The company shed light on the three new devices in its Inspiron lineup, beginning with the Inspiron 24 5,000 AIO, which features a 23.8-inch InfinityEdge IPS display, 8th generation Core processors, optional Nvidia GTX 1050 graphics, Intel Optane Memory and 32-gigabytes of RAM. It’s accompanied by the Inspiron 27 7,000 AIO, which also boasts a near-borderless 27-inch InfinityEdge display with up to 4K UHD resolution, and support for HDR and virtual reality. 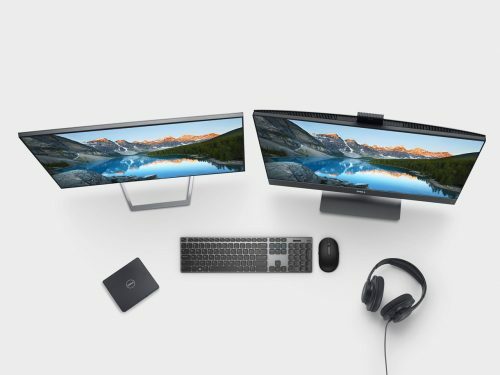 The Inspiron 27 7000 and Inspiron 24 5000 AIOs will be available April 17 on Dell.ca starting at $1,100 CAD and $1,300 CAD, with worldwide availability the following weeks. Dell also revealed a new twist to its 7,000 series by introducing the Inspiron 15 7,000 2-in-1, which comes with Intel Core i7 processors, a premium 4K UHD touch screen, 16GB of DDR4 memory, and NVIDIA MX130 discrete graphics. It also includes the Dell Active Pen. The 2-in-1 is meant for people with deeper pockets, and is available on Dell.ca starting at $2,000 CAD. It will also be available on BestBuy.ca and at select Best Buy stores. The Inspiron 27 7000 All-in-one will be available April 17 on Dell.ca. On the XPS front, Dell introduced two new arrivals in the XPS 15 and the XPS 15 2-in-1. The XPS 15 contains a Nvidia GeForce GTX 1050Ti graphics card and an UltraSharp 4K Ultra HD InfinityEdge touch display. Dell says the laptop is one of the smallest, at 15.6 inches, and one of the lightest. The XPS 15 2-in-1, which was unveiled at CES 2018, is available now starting at $2,000 CAD on Dell.ca. The brushed onyx version will also be available starting in May on BestBuy.ca and at select Best Buy stores. Lastly, Dell’s new S Family Monitors, come in 23, 24 and 27-inch variations that include CinemaSound and dual 5W speakers. They are available now starting at $270 CAD (S2319H); $260 CAD (S2319HN); $320 CAD (S2419H); $310 CAD (S2419HN); $430 CAD (S2719H); and $310 CAD (S2719HN).